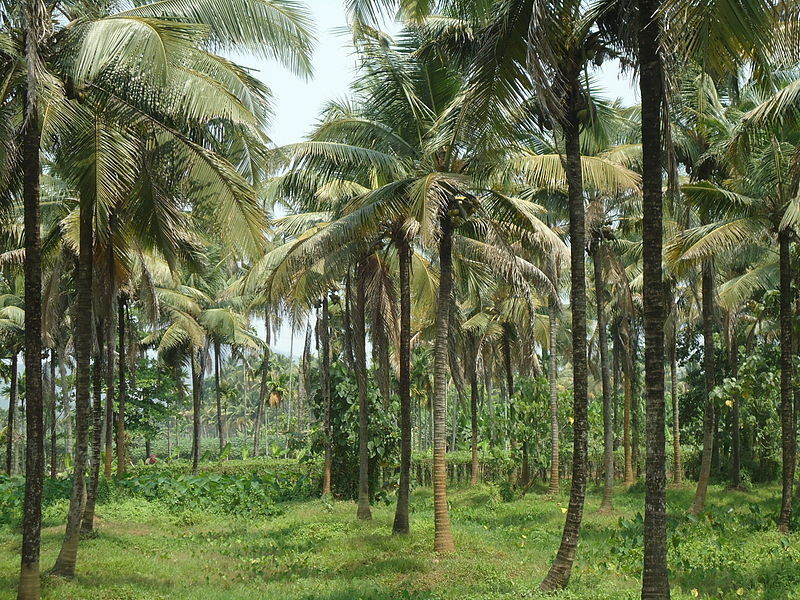 This photo of a coconut tree farm gives an idea of what a silver maple tree farm might look like. Biofuels, or energy sources created from living things, have the potential to solve the energy crisis facing the world today. In place of fossil fuels like petroleum and coal, they can power engines and machines as well as cells that produce electricity. Because biofuels are produced from plants and organisms living today, they are much more sustainable to produce than energy sources that form over millions of years. The United States government wants to replace 30% of gasoline used in the transportation industry with biofuels by 2030. Most biofuels available now are made from corn or sugarcane because making ethanol this way is cheaper than using cellulose, a compound abundant in woody plants. But making ethanol from cornstarch only yields 26% more energy than was used to make it, while making ethanol from cellulose yields 80% more energy! The silver maple’s prolific growth rate makes it a viable tree to mass-produce for fuel. In order to maximize production, the trees would be planted in rows, like a plantation. Saplings would be cut, ground into pellets, and transported to a processing plant. There, microorganisms would break down the pellets into sugars, which can be fermented into ethanol. Planting the trees 11 feet apart would produce 6.3 tons of biomass per acre every year after three years—or 500 gallons of ethanol. Acer saccharinum could save the planet!